What’s in a Boxing Glove? 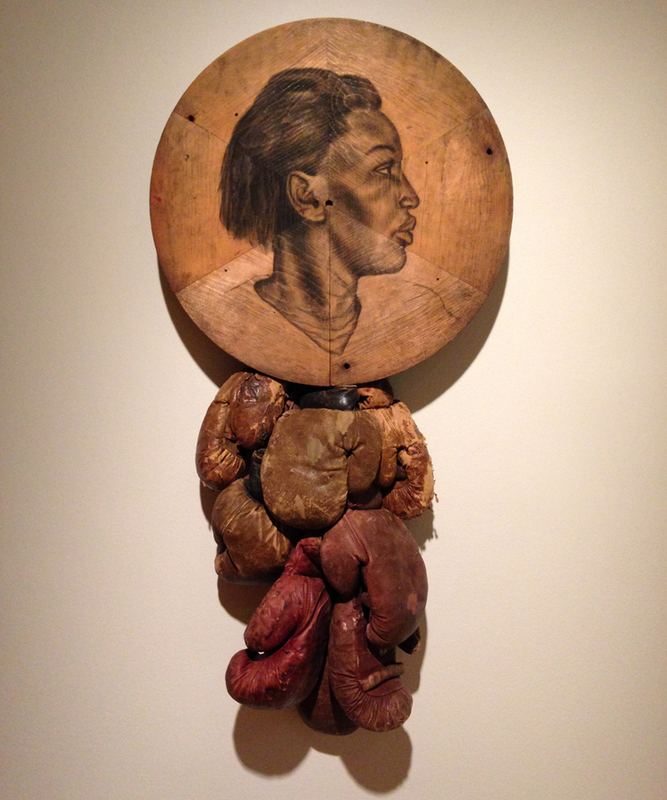 Tableaux such as Bleck, showing boxing gloves dangling from a female figure, are examples of Whitfield Lovell testing assumptions and pressing us to “think a little deeper.” Why do we see a woman and not a man with these boxing gloves? Lovell has altered our usual frame of reference. When we view the gloves less literally, the combination may suggest the woman’s perseverance, strength, and struggle. 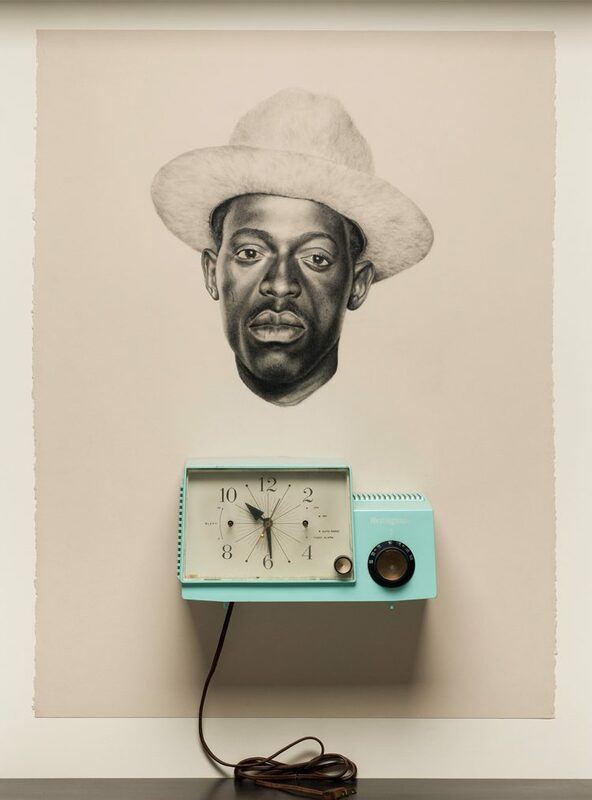 Whitfield Lovell: The Kin Series and Related Works is on view through Jan. 8, 2017. The subtitle of this work by Whitfield Lovell, a recent acquisition for the museum, is “Glory in the Flower,” which references the below poem by William Wordsworth. Why do you think Lovell chose this particular phrase for this work? Why do you think he chose a clock as the accompanying object to this portrait? 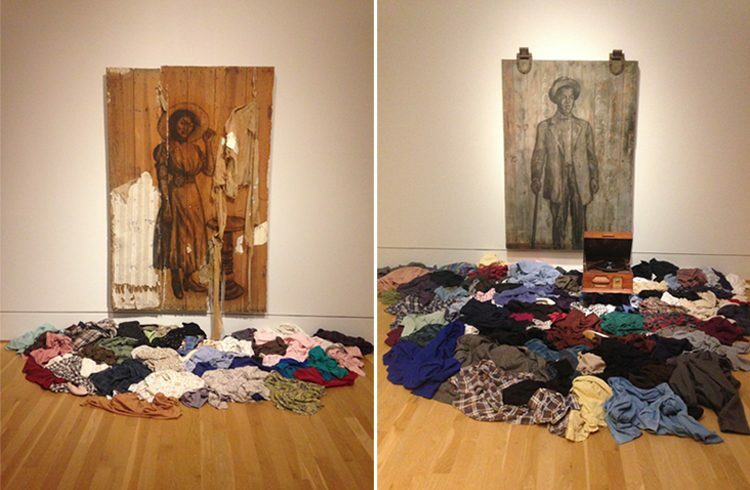 In Whitfield Lovell: The Kin Series and Related Works, the two tableaux pictured above (Mattie When You Marry at left and Rising River Blues at right) face each other on either end of a gallery. They were originally conceived as part of a larger installation that the artist developed in 1999 during a residency in Denton, Texas. Presented here, the single female and male figure represent the collective lives of Quakertown, the rural African American community that once thrived in the center of Denton from 1875 until 1924. In 1924, the residents were displaced when they were perceived as a threat to a nearby all white girls school. To help summon their memory, Lovell immersed himself in thousands of old family photographs from the Texas African American Photography Archive in Dallas. The melodic sounds of “Rising River Blues” emanate from the phonograph you see in Rising River Blues and set the tone for the piece. The artist stimulates our sense of sound and sight with the textured layering of strewn clothes evocative of disembodied individuals, thereby inviting the viewer into a space that hovers between absence and presence.